Free DocusTree can organize your documents, daily activities, calendar and webpages and navigate to them instantly. Easily organize your documents, daily acitvities and webpages and navigate to them instantly. Free download application features.Manage To-Do Lists and much more. Free download application features.Get organized with Activity Trackers. Free download application features.Get organized with Note Calendars. 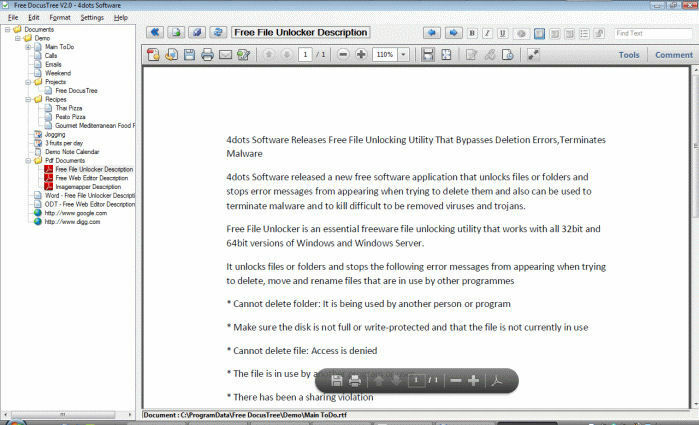 Free download application features.Encrypt and protect your Documents.